The study from University of Copenhagen is based on blood samples from 247,574 patients. It found a link between higher death rates when vitamin D levels fell to the lowest level and when they soar to the highest level. 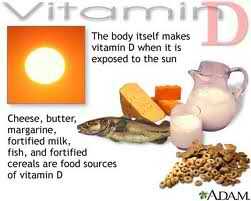 Dr. Carrie Ruxton from the UK Health Supplements Information Service said the findings were contradicted by other research, showing people with higher vitamin D levels had lower mortality rates. Although this is healthy in moderation, oily fish also contains high levels of vitamin A which can be harmful and toxins which may have had an effect on people’s health. ‘One-quarter of Britons go into the summer with levels of vitamin D below the level for optimal health, we have the problem of too many people consuming too little of the vitamin,’ she added.